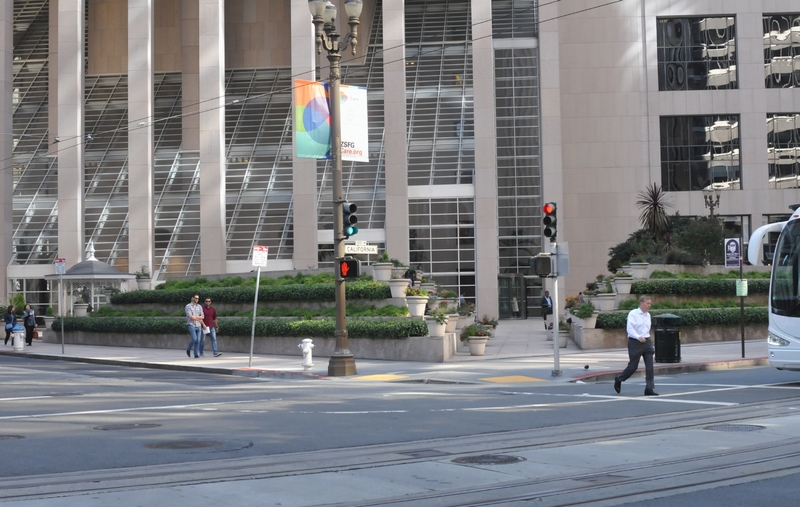 Looking up California Street across Davis Street, you can see how the 101 California building makes a diagonal cut, forming a triangular public space. 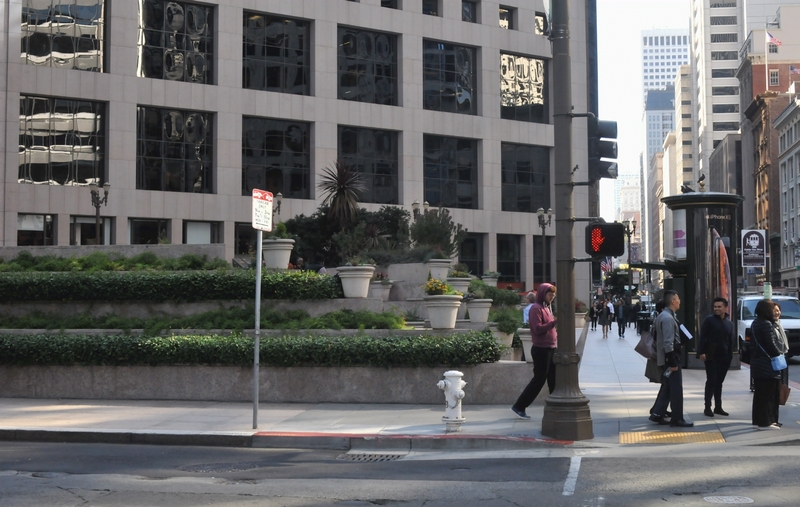 Diagonally across the intersection of Davis and California Streets lay a privately owned public space behind the 101 California building. 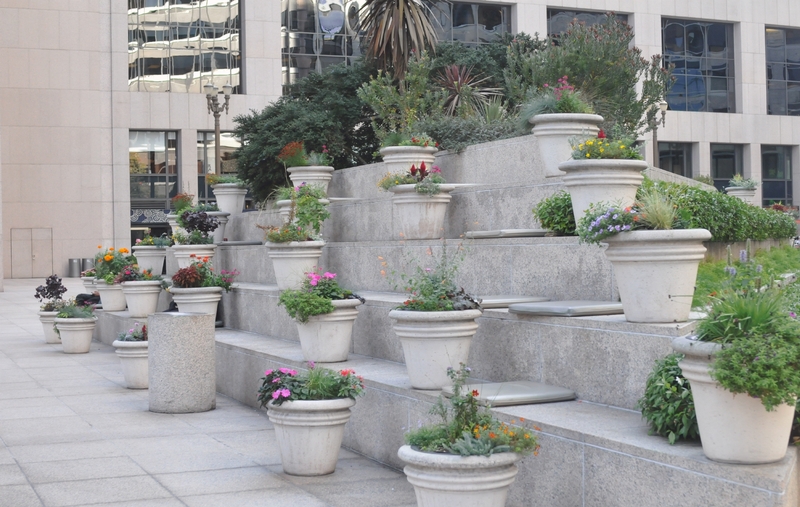 Many levels of seating, each area separated from the next by potted flowers. Just this one face of one raised seating area created room for many to sit. There were even cushions provided for added comfort. 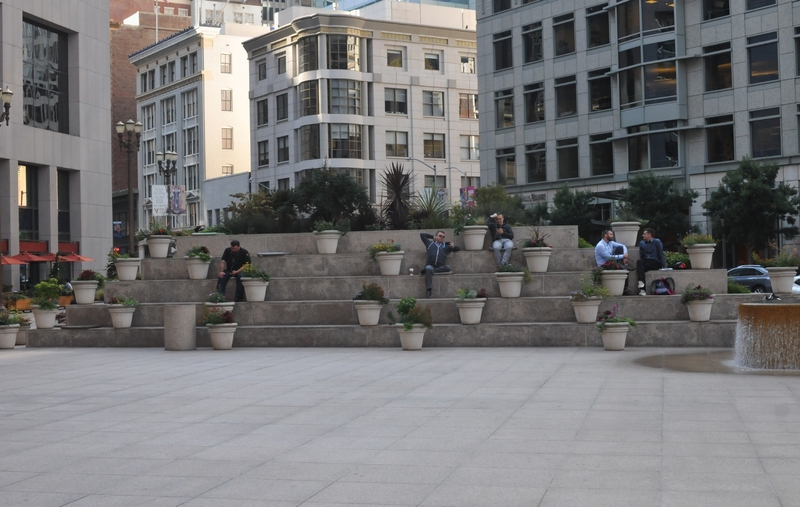 The arrangement of pots meant that people could sit alone or could sit in groups. 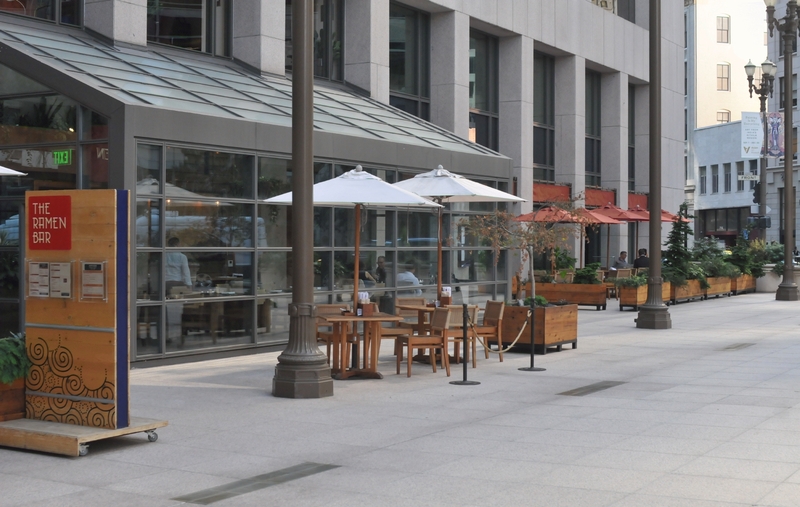 Unlike mid afternoon, during the lunch hour, this plaza was ordinarily bathed in sunlight. 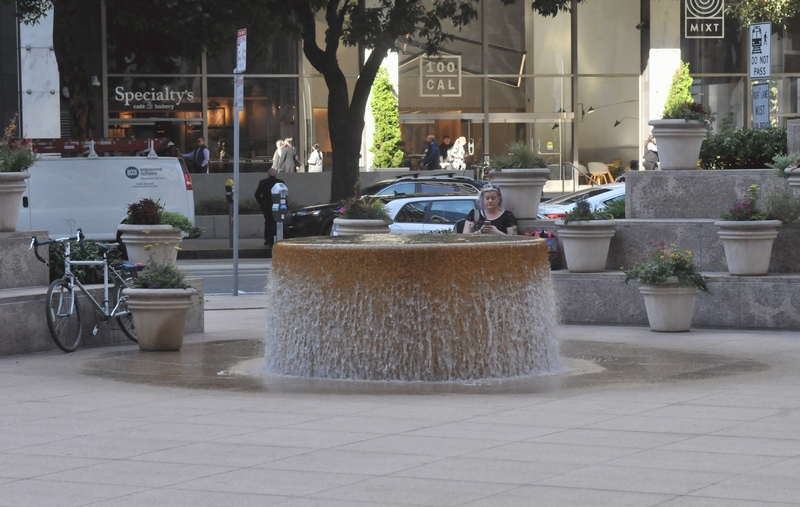 A modest fountain ran in the plaza creating a circular damp area. A prepared food business called, "The Ramen Bar," was one of three places to buy food in the plaza. 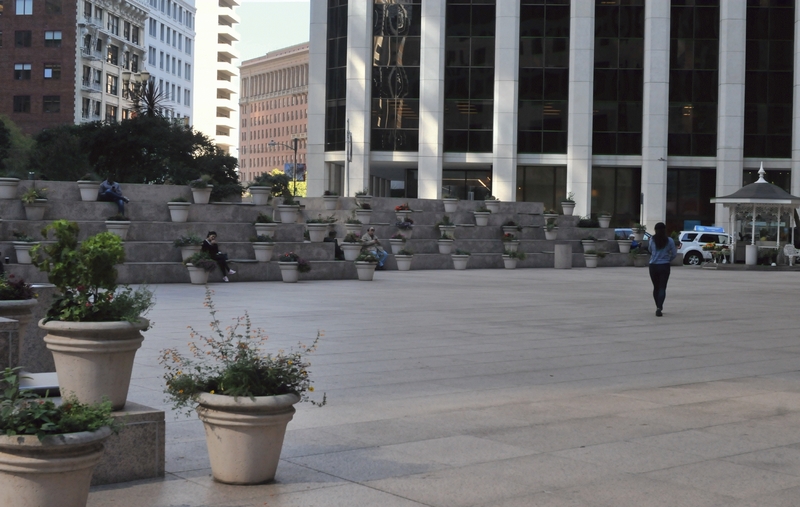 The raised seating areas separated a wide open plaza from the noise of California Street.